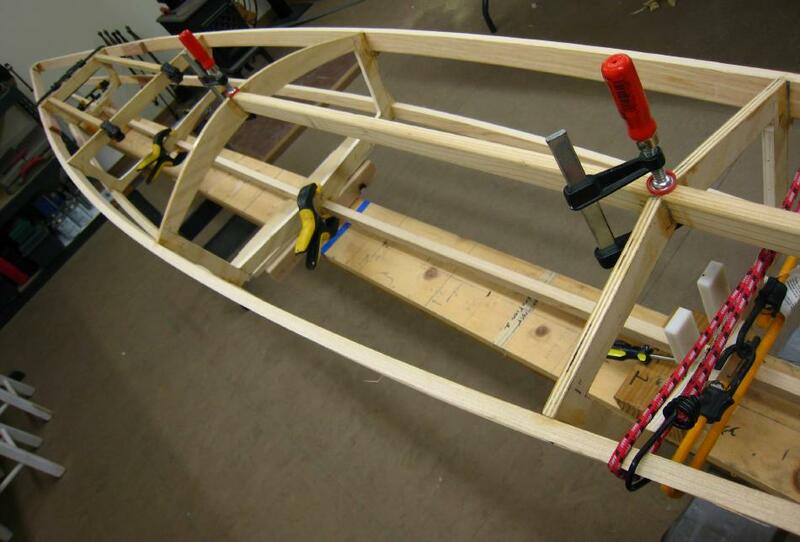 Glue and clamp the forward deck stringer to cross sections 1 and 2. Note also the clamps holding the keel. Allow the T-88 a minumum of 12 hrs. curing time before proceeding to the next step. The deckridge to bow connection will be completed next.